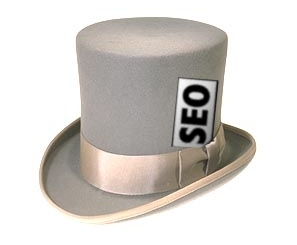 Grey hat SEO is a debated subject and overlaps on both white and black hat SEO strategies. Some users feel that there are areas of grey hat SEO which can be implemented, albeit carefully, with no repercussions, however this might be doing their site more harm than they realise. Here are a few Do’s and Don’ts of SEO implementation. Keep your content fresh! It’s a bit of a no brainer but Grey Hat SEO techniques often stray into the murky world of content duplication and article spinning. There’s nothing wrong with using other sources for inspiration, but unique content will rank higher than stuff that’s been lifted from another site. Choose your links wisely. Google likes the purchasing of directory listings but paid links can get you penalised, especially if they’re too repetitive. Advertising links are looked upon more favourably than those intended to increase your ranking. Get permission for cloaking. Cloaking is predominantly a black hat technique but allowable in some instances whereby you need to direct registered and unregistered users to different sections of your website. To stay on the white side of grey hat it’s best to get permission from the search engines beforehand. Use gateway pages. Whereas they were once considered admissible by search engines they are now frowned upon and fall under the heading of black hat. Employ automation techniques which result in comment and submission spamming, and article spinning, amongst other things. Automation sometimes falls under the heading of grey hat because there are some types – such as the generation of social media followers – which Google has up to this point overlooked. However it’s generally considered bad practice and might get you reported. Duplicate content from elsewhere. As already stated, fresh content will improve your page rankings as well as giving your reputation a credibility boost. Why would you want a website that’s been plagiarised from elsewhere? Stay original. Perhaps you fancy yourself a bit of an SEO rebel, giving lip service to Google’s search bots whilst tipping your hat towards more murky methods of boosting your site rankings. Or do you consider link buying and content duplication to be on the same level of legitimization? Whether you believe or not in keeping your SEO clean, grey hat is often referred to as ‘future black hat’ because of the rule bending strategies which are contained within its practises. What’s permissible today may well not be tomorrow, so to ensure your rankings stay high it’s advisable to keep your SEO implementation as white as possible.